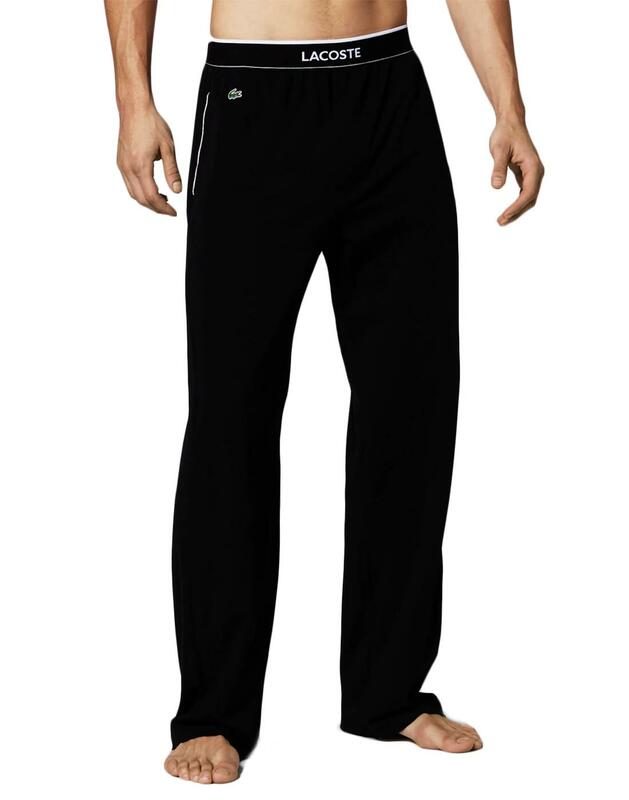 Lacoste Loungewear men's lounge pants in black. A substantial pyjama bottom ideal for lounging around the house and for comfy sleepwear. Full length in a stretch cotton jersey and a relaxed fit, with 2 side pockets and elasticated waistband. 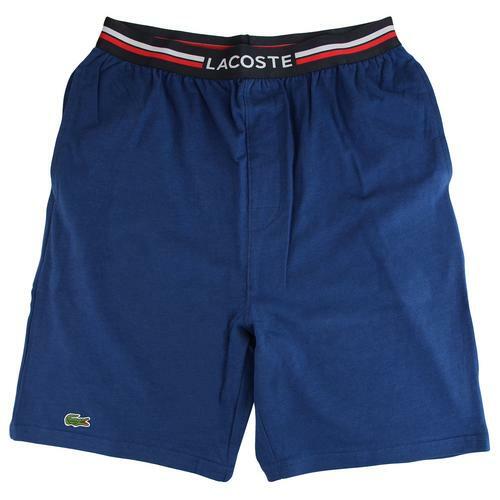 Match with a Lacoste Loungewear tee and lounge in style! 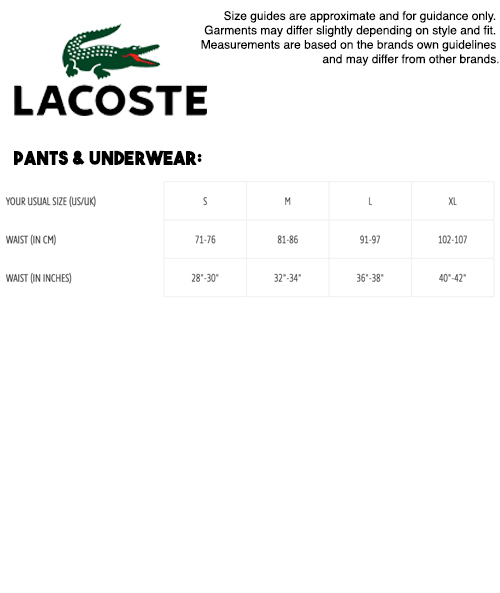 - Lacoste Loungewear men's retro unicolour lounge pants/pyjama bottoms in black. - Stretch cotton jersey fabric. - Lacoste signature on elasticated waistline. - Lacoste Crocodile embroidery on hip. + Please note: this item cannot be returned, exchanged or reimbursed.